We are only five months away from Gear Expo 2013, and I’m pleased to report that this year’s show is coming together better than ever. So far we have more than 150 companies that will be exhibiting at Gear Expo, creating the largest show floor since 2001! Gear Expo continues to be the only show in the world dedicated to the entire gear manufacturing process—from the raw materials to machinery to inspection to finished gearboxes, the exhibitors at Gear Expo 2013 will represent a cross-section of the global gear industry. In addition to the Gear Expo exhibit floor, ASM International’s Heat Treat Society will once again be co-located with us, bringing an additional 30,000 square feet of exhibits and 2,000 industry professionals to the event. Gear Expo will be the best and largest networking event for the gear industry this year. Beyond the exhibits, Gear Expo will host several world-class education events. The 2013 Fall Technical Meeting will be held in conjunction with the show, Sunday, September 15 through Tuesday, September 17. AGMA’s Fall Technical Meeting is a great opportunity for anyone in the gear industry who is interested in the latest research and technical developments in gearing. The 2013 Fall Technical Meeting will have 25 presentations divided into five sessions over three days. The Fall Technical Meeting is just one of many educational opportunities. A classroom-only version of Basic Training for Gear Manufacturing, taught by Mike Tennutti of Gleason Cutting Tools Corp., is a great opportunity for employees new to the industry. This course will be presented in three half-day sessions that will give you in-depth training in standard nomenclature, gear involute geometry, inspection procedures, and much more. The American Bearing Manufacturers Association will host a half-day course on “Why Bearings Fail” on the first day of Gear Expo. This course will be a basic primer for addressing the most common causes of bearing failures in gearboxes and related equipment. Participants will have the opportunity to see and touch examples of failed bearings and work together to brainstorm reasons for failure and possibly how the issue could have been avoided. The course will provide both OEMs and end-users valuable insights into bearing designs, features, and proper bearing applications. Also on Tuesday, September 17, renowned gear expert, Ray Drago will present, “Where Do I Start? The Preliminary Gear Design Thought Process.” Designing a gear and not sure where to start? Then don’t miss this opportunity to learn from an expert. Regardless of the application, this course will get you started in the right direction. Ray Drago will walk you through a process and a list of items every gear designer should consider. 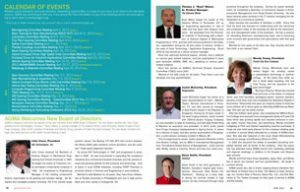 Another highly respected instructor, Robert Errichello, will be presenting, “How to Organize and Manage a Failure Investigation” on September 18. A properly managed failure investigation can provide valuable feedback about how a component performs. It might uncover shortcomings or weakness in design, manufacture, quality control, maintenance, or operation and it can provide information for improvements that prevent future failure. In some cases, the failure investigation can assess liability and determine whether a failure was a unique event or a symptom of a wider problem. In this seminar you will learn proven techniques for organizing and managing a failure investigation that will maximize your chances of identifying the failure mode and the root cause of the failure, and help you recommend repairs or improvements to prevent future failures. During the last day of Gear Expo 2013, two courses will be held. The first, “Materials Selection and Heat Treatment of Gears” is a joint course between AGMA and ASM Heat Treat Society instructors. 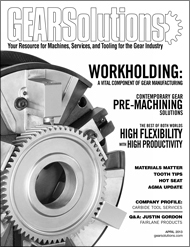 New developments in gear technology, particularly from the materials and heat treatment perspectives, have improved gear performance. This course will provide an overview of materials selection and heat treatment of gears. Finally, Rick Schrama of Tribological Services will present “Inspection Criteria for Gearboxes.” This course will discuss the inspection criteria for industrial gearboxes will provide a great overview of typical gearbox designs and condition monitoring techniques as well as gearbox inspection methods and frequencies. Gear Expo 2013 will be an event you can’t afford to miss. Whether you come looking for new suppliers, training, or just to touch base with your peers, Indianapolis is the place to be this September 17-19th. Hotel reservations are now open, and event registration opens May 1st. Visit www.gearexpo.com or e-mail gearexpo@agma.org for more information. I hope to see you at the show. 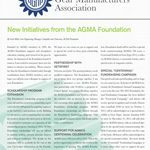 AGMA is pleased to announce the election of five new members to the AGMA Board of Directors. The new Board members are: John Cross, president of ASI Technologies; Thomas J. “Buzz” Maiuri, sr. product manager of The Gleason Works; Justin McCarthy, director of sales of Scot Forge Company; Dylan Smith, president of VanGear; and Wendy Young, president of Forest City Gear Company. The new Board members will begin their three-year term at the AGMA Annual Meeting in April. 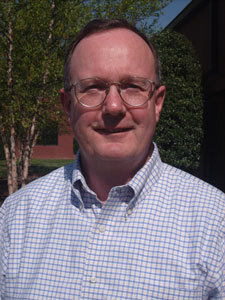 John Cross received his Bachelor of Science Degree in Mechanical Engineering from Drexel University in 1985. 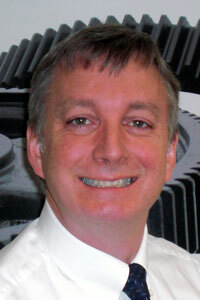 He began his career at Transicoil, Inc., an aerospace components company in 1983. He progressed to Engineering Manager of the rotating components division responsible for all gearing and actuator design. He designed and managed projects including: the V-22 nacelle angle position sensor; the Boeing 747-400 APU fuel control actuator; the Airbus A320 cabin pressure control actuators; and the Landsat 7 Solar panel alignment resolver. 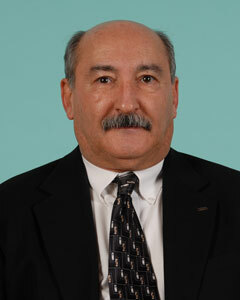 He joined ASI Technologies in 1997 and progressed to president in 2008. He was instrumental in expanding the company’s industrial and commercial transaxle business and has several issued and pending patents for ASI products and technology. John is active in local STEM initiatives, including FIRST Robotics to promote careers in Science and Engineering to area students. Married to wife Barbara for 24 years, they have three children, two at Temple University in Philadelphia and one in high school. Barb and John reside in Collegeville, PA.
Buzz Maiuri began his career at The Gleason Works in Rochester, NY as an engineering apprentice in July of 1966 and has been with Gleason ever since. He graduated from the Rochester Institute of Technology with a Bachelor of Science Degree in Mechanical Engineering in 1974, and has held various positions in the Gleason organization during his 46 plus years of service, mostly in the area of Gear Technology / Application Engineering. 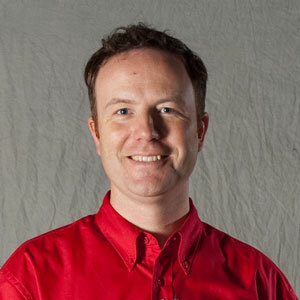 Since 2009 he has served as a senior product manager. Buzz has authored technical papers, articles, and a webinar on various gear related subjects, and has participated in many gear seminars (AGMA, SME, etc.) speaking on various gear-related subjects. Buzz has served on AGMA’s Technical Division Executive Committee (TDEC) since 2001. Married to his wife Linda for 46 years. They have a son and daughter and nine grandchildren. Justin McCarthy began his career as a sales representative for Gulf + Western /Taylor- Bonney International in Houston, TX, and later served as manager of Asia-Pacific based in the Republic of Singapore. During his 35 year career in the steel forging industry, Justin worked with Clifford-Jacobs Forging Company as vice president of sales & marketing, and with Ajax Rolled Ring & Machine as executive vice president. In 2012 Justin joined Scot Forge Company headquartered in Spring Grove, IL where he is director of sales, and also serves as president of Ringmasters, a joint-venture company located in Wayne, MI. Prior to beginning his career, Justin received a Bachelor of Arts from Boston College, and an MBA in International Management from Thunderbird Global School of Management. Justin and his wife, Middy, reside in Ivanhoe, Illinois and have four adult sons. Dylan Smith is the third generation of Western Canada’s original gear manufacturer, Vancouver Gear Works Ltd. (VanGear). Starting as a shop helper during his summer breaks in high school, he has continued through many positions throughout the company. During his career development, he completed a Bachelor of Commerce degree in Entrepreneurial Management from Royal Roads University. He also spent several years working in the IT industry managing the development of e-commerce systems. Dylan became the president at VanGear in 2008. Since that time his work has focused on modernizing both the machinery and production sides of the business as well as the administration and management sides of the business. He has a passion for rebuilding America’s manufacturing base, and is becoming more involved with government and associations with that goal in mind. Married for four years to his wife Lisa, they recently had their first child, a son named Tobin. 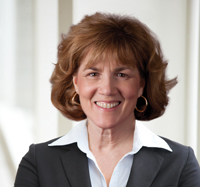 Wendy Young, Minnesota born and reared began her working career in paramedical technology in ophthalmology. At the same time while active in white water kayaking, she met Fred Young, and her exposure to the gear world began. Moving to Roscoe, Illinois she married Fred and took on the duties of company driver, part time secretary, packaging expert, machine operator, became a first time mom and completed her Bachelors Degree in Economics. Temporarily she gave up company duties to have two more children all of whom grew up attending AGMA Annual Meetings. She also got her pilots license. After the children were grown, she completed her MBA at Rockford College and resumed more management duties at Forest City Gear which was growing rapidly and required someone to oversee sales, human resources, and advertising. Wendy innovated budgeting at FCG and started negotiating machine purchases. A fringe job was chief party planner for the company initiating quite a number of annual affairs attended by a number of AGMA members. She was also featured on the cover Green Manufacturing Journal for energy and efficiency efforts for FCG. In 2002 she assumed the duties of president becoming completely familiar with all facets of the company. Over the years, she has attended many AGMA events from marketing meetings and regional meetings, in addition to the Koepfer and Gleason gear schools. Wendy and Fred have three daughters, Appy, Kika, and Mindy, two of whom are married, and four grandchildren. All reside in northern Illinois. 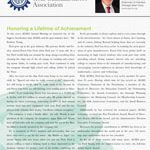 AGMA would also like to thank outgoing Board members Norbert Benik of Ontario Drive & Gear; Tom Marino of Gear Technology, Inc; Gordon New of Ronson Gears Pty., Ltd.; and Dirk Wernecke of The Timken Company for their years of service to AGMA and the industry. This information sheet recommends powder metallurgy, PM, steel materials, and metallurgical quality characteristics for use in specifying PM gearing. It identifies specifications and requirements for various PM steel materials for as-sintered, through-hardened or sinter-hardened, carburized case-hardened, and induction-hardened gearing. Requirements are coded by process and class number, the latter based on the density of the PM gear teeth. Characteristics covered include material composition, density, sinter processing (conventional, high temperature, and sinter hardening), secondary heat treatments and post heat treatment processing, and their associated inspections. 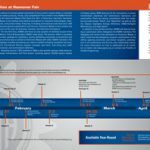 For more information or to purchase the document, visit www.agma.org.